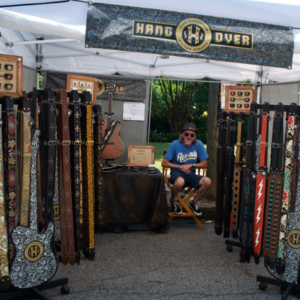 The juried Summerfest Artist Market is one of Atlanta’s premiere art shows, specializing in fine, folk, and unique art. You can find original art in many price ranges and media, including: Painting, Photography,Clay, Metal, Stone, Wood, Jewelry, Glass, Textiles, and Mixed Media.Visit our Artist Market page for more information. 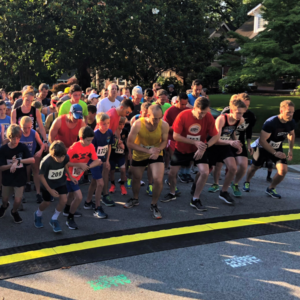 This year’s Summerfest 5K Road Race will get going at 8:00 am Saturday June 1 and will feature 1,500+ runners winding their way through the streets of Virginia-Highland. The race, which is now an official qualifying race for the Peachtree Road Race, features electronic chip timing and runners are encouraged to register for the race in advance, as this race often closes out quickly. Register now at at active.com. Pre-registered 5K Road Race participants can avoid the crowds and pick up their race number and t-shirt early. Race packets can be picked up at Phidippides at Ansley Mall May 25, May 27 – May 30, 10:00 – 6:00 (no packet pickup at Phidippides May 31). Packets can also be picked up inside the Virginia-Highland Church, 743 Virginia Ave. (across from Inman Middle School) on Friday, May 31 – 4:30 pm to 7:30 pm (packet pick-up only, no race registration). 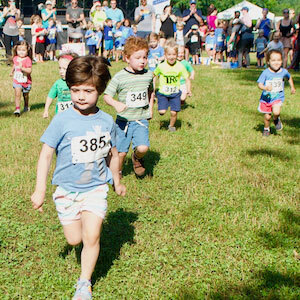 After the 5K Road Race (starting around 9:30 am), children ages 7 and under can run, waddle or crawl to the finish line of the Tot Trot which will be held this year on the lawn of the middle eastern section of John Howell Park (near Barnett). Every child receives a ribbon for participating. Registration ($10 per child) is on-site, day-of-race, starting at around 8 AM on the grass inside John Howell Park between where the statuary is and Barnett St.
Kidsfest is located in the western section of John Howell Park (in the area where the sand volleyball courts are) and on the adjacent Arcadia Street. 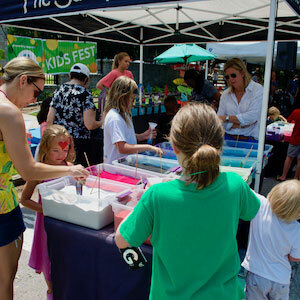 Kidsfest features unique games, crafts and activities for children of all ages, many of which are free. Times are Saturday, June 1, 2019 (10am to 3pm) and Sunday June 2, 2019 (10am to 3pm). 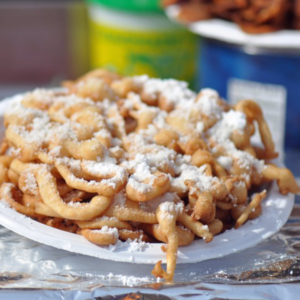 Summerfest always features a range of delicious food from an array of festival vendors and local restaurants. A variety of non-alcoholic and alcoholic drinks are available throughout Summerfest. 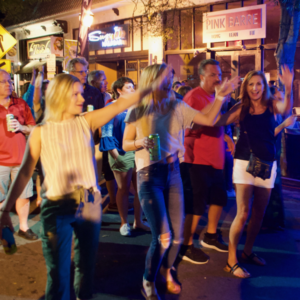 The 2019 Summerfest Music Stages will again feature a variety of renowned local musicians along with nationally acclaimed singer songwriters. Check back SOON for the music line-up. 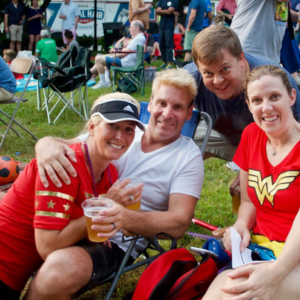 on the Friday preceding Summerfest (May 31, 2019), events are held especially for Virginia-Highland residents: a parade, picnic dinner and outdoor movie. The 2019 community parade theme will be CIRCUS theme. 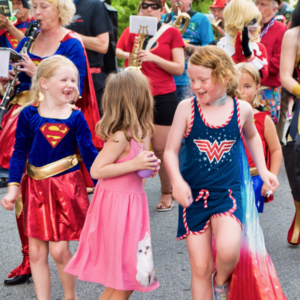 We hope you will display your spirit and creativity by dressing up in a costume supporting this year’s theme – and celebrate Summerfest by joining the parade! Check-in time: 6:30 pm (Bring your photo ID so you can snag your dinner tickets when you check-in). Please bring some cash as well – there is a $5 suggested donation to participate. Pre-registration for the parade is no longer available, but you can still walk up & participate! 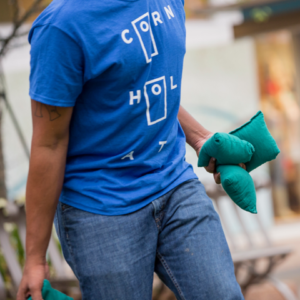 We suggest you arrive early – between 6:00pm and 6:30pm. The parade will start PROMPTLY at 7:00 pm. The parade begins at the top of Drewry, proceeds right onto Barnett, and ends at John Howell Park Field (about 0.6 miles), which is the location of the community dinner for residents. 1st, 2nd and 3rd place awards for best costume will be announced at the conclusion of the parade during the neighborhood dinner. The community/volunteers dinner and outdoor movie will be held on Friday, May 31, 2019, starting at 7:30 pm. 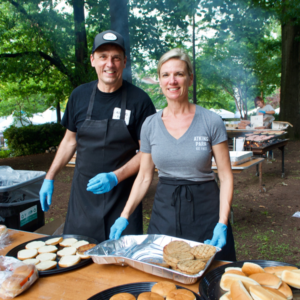 The usual awesome cook-out fare will be provided by Atkins Park. 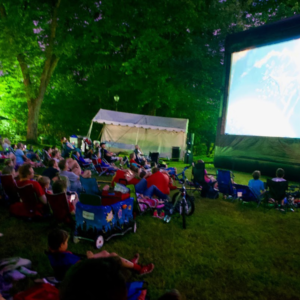 This year the community dinner and movie will again be located on the grassy area on the eastern edge of John Howell Park, near Barnett St. You must bring ID to verify Virginia-Highland residency.